We believe that preschool children learn best through play. We offer many fun and educational learning experiences to aid their social, mental, and spiritual development in a Christ-centered environment. Our Christian staff take children on a learning adventure appropriate to their individual development through daily activities using various educational resources within monthly themed units. We build our lessons to reinforce the Christian values that our preschool families expect while building a solid foundation for kindergarten and beyond. Each month includes a special event. It may be a field trip, special guest, holiday party, or family program such as Donuts with Dad, Muffins with Mom, or Grandparents’ Day. In March, we have a Bike Day that parents are asked to help with. We also have musical Christmas and Spring programs. We are licensed for up to 16 children in each classroom. Classes are staffed with a lead teacher and an assistant teacher/aide. We offer two classes for 3 year olds and two classes for 4 year olds. Times for all classes are from 9:00am – 11:30am. 3-year-old classes meet Tuesdays, Wednesdays & Thursdays. 4-year-old classes meet Mondays, Tuesdays, Wednesdays & Thursdays. A $50.00 registration fee and first month’s tuition is due prior to acceptance. Returning student registration fee is $40.00. 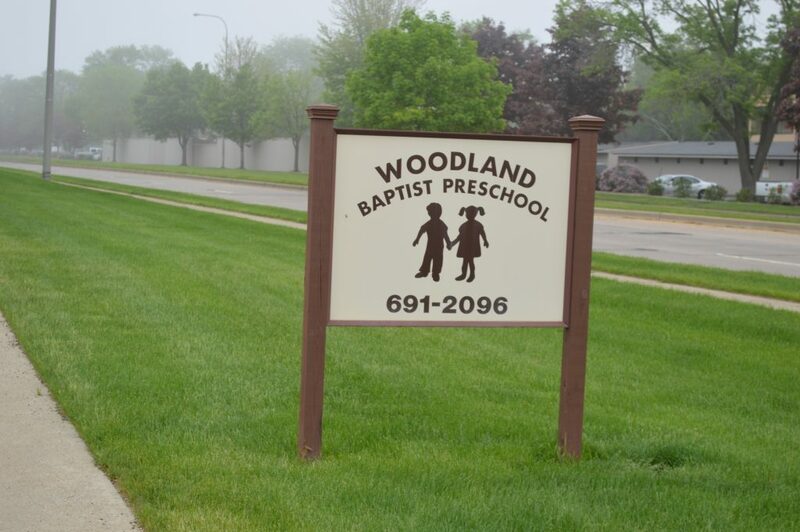 Please contact our director Ms. Marcie at (309) 691-2096 or preschool@woodlandbaptistchurch.net. Applications for the 2019-2020 school year will be accepted beginning Monday, March 4, 2019 for new families. Please feel free to contact us for a tour or with questions at any time. The 2019-2020 WBC Preschool Handbook can be found here. We operate in accordance with DCFS guidelines. To view DCFS guidelines click here.